Last week on CZ Minutes we discussed the worrying trend of talent leaving CCP recently. This week, I posed the question of the in-game mechanics for alliances. 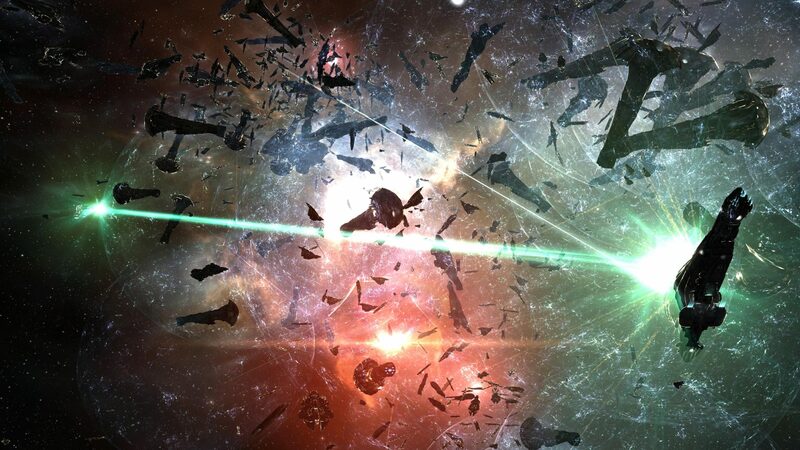 Do CCP improve them and risk further homogenisation of areas such as 0.0 or are better facilities in-client to run alliances essential for the game’s longevity? Forlorn: As far as I know and it has been repeated a few times on various forum posts from CCP devs the current code for alliances is an overlay over corporations, they basically don’t exist. A lot of the code for corps, roles and probably NPC AI would have been completely rewritten. This is one of the reason POS still go skynet from time to time as well. I would really like CCP to change that, but other things in EVE like sov rebalance are way important to me. HVAC: As Forlorn said, I’ve heard over the years from two pretty prominent people that anything that has to do with Alliances would require a complete re-write of all the corporation code, and that alliances are basically just a simple glue holding a bunch of corps together. Stripping and replacing legacy code, using Crime Watch as an example, took about a year of development time, and I’m not entirely sure the benefits of things like Alliance bookmarks would make that investment worth it. Especially when you can just use corp bookmarks. Xander: So is this something CCP should seriously devote some dev hours to? Should they just write it off as a concept at least for the moment and devote time to more important issues or what? Surely at some point they need to tackle this or would it be bad for the game? Mangala: As Forlorn says an alliance – at this time – is simply a corporation where the members are other corporations, not people. It is certainly something I would love to see changed, to give alliances an actual mechanic of their own with a potential set of unique features to support them. Personally I would like to see as part of a future corp/alliance roles/ui/”all the things”revamp, the addition of tools for people like myself who run in game social groups with the current limited set of tools provided (I’ve wrote on this for a column: http://crossingzebras.com/social-network/ ). Xander, I think this certainly does need dev time, and if at all possible sooner rather than later. As part of Seagulls future vision of EVE (Player built gates etc), dev time spent on iterating on such core features of EVE as corp/alliance roles, industry etc has to be time willingly spent by CCP, given that revamping these features then gives a much more solid foundation for the future than simply building the new hard shiny on a foundation of sand. HVAC: If alliance roles were expanded, I’d like to see new ways for Alliances collecting revenue since there isn’t any mechanics supporting it. Alliance ratting taxes, etc. Niden: To rip up legacy code rather than tacking new things on requires a clear definition of the value of said changes. Let’s compare it to replacing part of the foundation of a house; it’s a shitload of work, most of which won’t be seen. The question is what possibilities replacing that part of the foundation will open and if it’s worth it. So it has to be a lot more than ‘that would be nice’. I guess my question is; how would it work ideally and what value to EVE Online at large would that have? It has clear value for null for instance, but what would it do for NPE and expanding the social aspect of the game? Xander: Well this is the wider question – is this alliance role thing only really an issue for nullsec power blocs or is it relevant for the likes of people on lowsec and wormholes? Niden: I think it’s most relevant for null simply because of the size of the alliances and complex social, political and logistic systems that we see null alliances employ. In lowsec it is most relevant for Faction Warfare because in some respects militias behave like blocs in null, but outside of that alliances tend to be smaller and easier to handle. Let’s put is like this: in lowsec as an isolated world I think there are better ways to invest manhours at this time. For EVE at large it may very well be worth it. Some people worry that making alliances easier to handle empowers bloc politics, this is a BS standpoint in my view as the system can well be made easier to use but still not favor blocs. Joran: I certainly see it as relevant in wormholes, although the extent is probably lessened. From my perspective though, alliance bookmarks are a very big thing, and apparently that can’t be tackled until the previous problem of alliance coding is taken care of. So at least that is a place that there is plenty of common ground. I certainly see it as a good thing, even though my corporation is not part of an alliance. As long as it is put in reasonably with other dev goals I hope it does get fixed eventually. Forlorn: Don’t get me started at corp/alliance bookmarks. 250 is way too low, as a nomadic alliance like PL we constantly have to purge bookmarks and it is a mess.